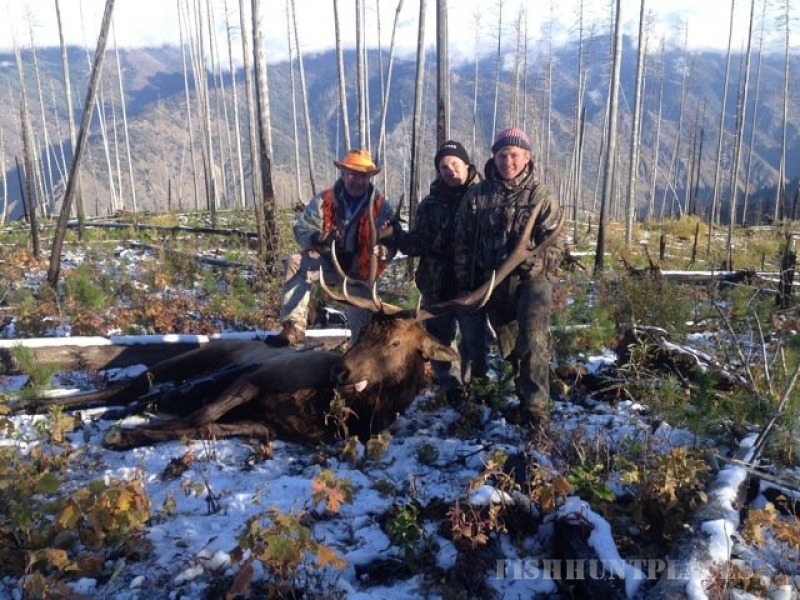 Mackay Bar Outfitters & Guest Ranch, perched at the edge of the Salmon River and Frank Church Wilderness, offers a unique experience and represents our very own, special brand of Idaho backcountry beauty and adventure! 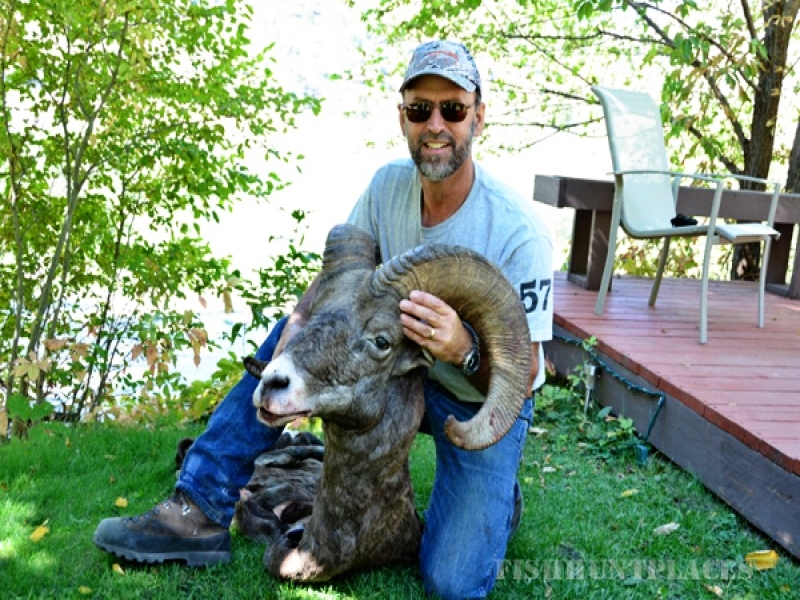 We offer our guests a full expose of recreational variety, including our prized Idaho back country hunts. We believe it is your hunt. Our guides have the ability to get as extreme as you want or they can setup scenarios where you can just sit back, relax and enjoy the breathtaking views while awaiting your big game or predators. 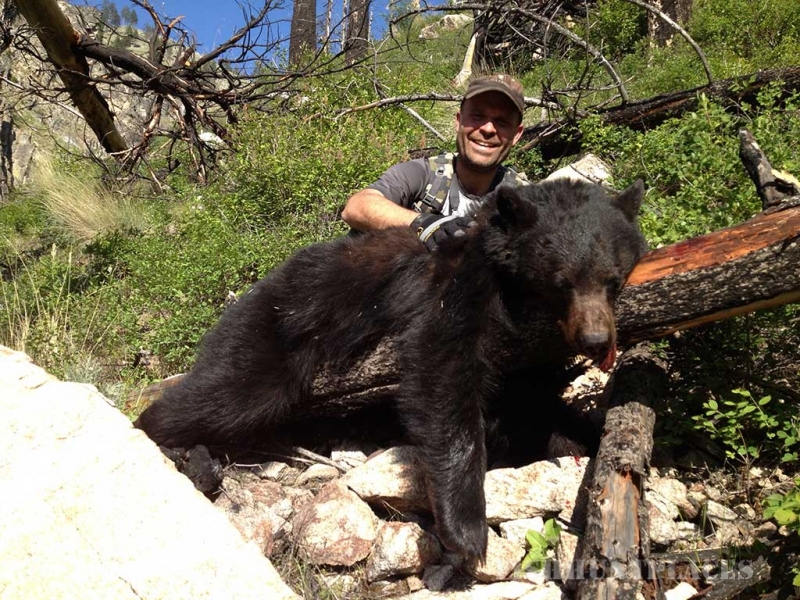 Mackay Bar Outfitters provides guided hunts for upland game birds, elk, deer, bear, cougar, wolf and sheep. 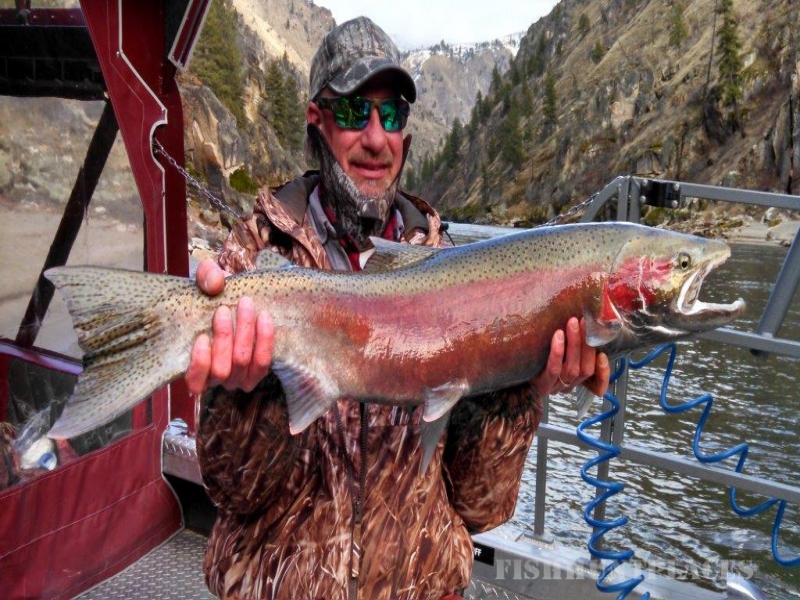 Mackay Bar Guest Ranch & Outfitters offers an exceptional Idaho Salmon River Steelhead fishing experience! Our exclusive fishing seasons start as soon as the rivers thaw in the middle of February and run through the end of March (for the winter season). The wildlife are right on the river while all the mountain peaks are buried in winter snow – not to mention the high density of steelhead that are pooled up waiting for the water to warm so they can start their spring run. 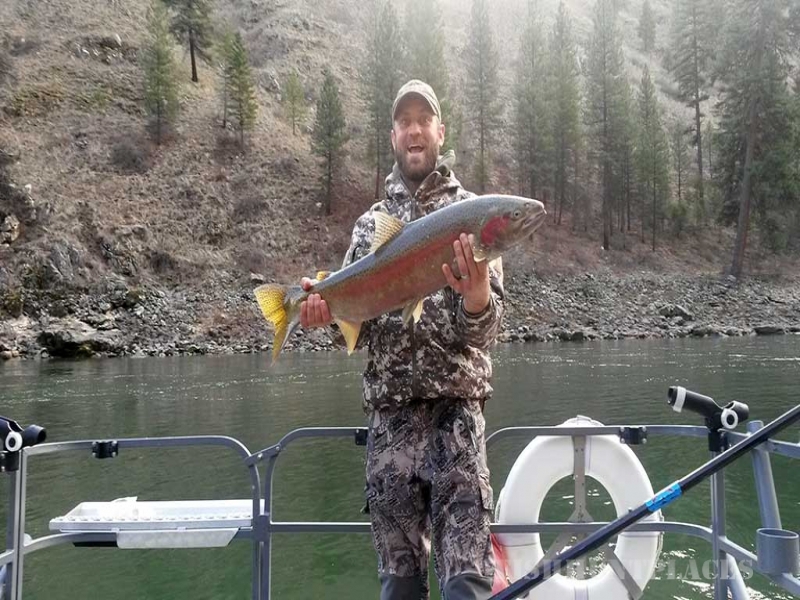 We have top notch river guides and captains that know how to put you on fish. Come Spring, the water warms up and the trout begin to make their runs up the streams. This is the time to catch the big trout! You can catch rainbow, cutthroat, and dolly vardin. The trout fishing is excellent all through the summer season right up until fall when steelhead starts up again. 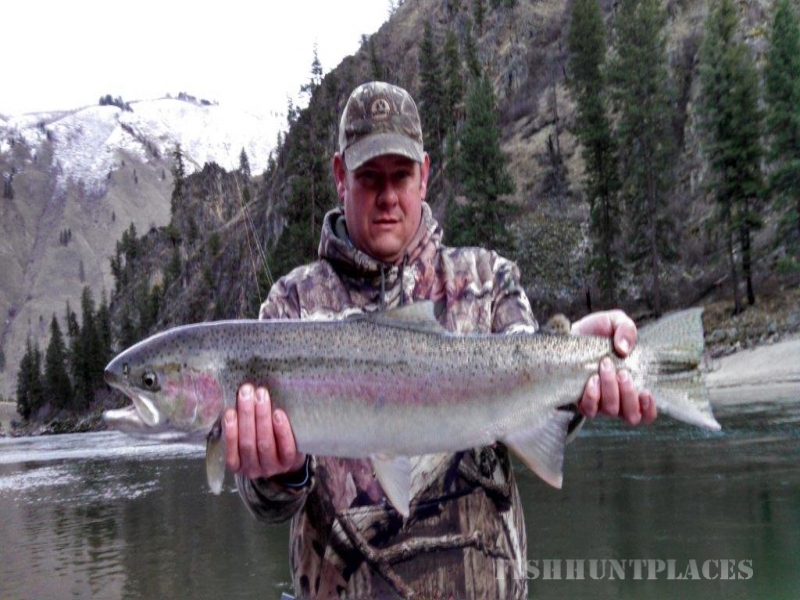 Fall Steelhead season starts middle of October. We then fish hard right up until the end of November. The early season fall run will be the fairest weather fishing we have to offer. With the water still warm and the fish full of energy, the steelhead put up a great fight!